In this one-day workshop, participants will learn African Helix, an easy-to-accomplish off-loom bead weaving technique. To integrate this technique, NanC will guide the participants through the steps required to create a sensuous gradually shaded rope necklace. 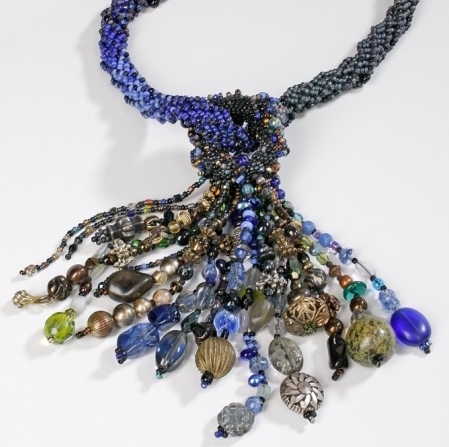 Various adaptations of this bewitching piece will be offered to personalize each necklace. As a bonus, NanC will demonstrate her own version called “Inverted Helix,” as well as how to increase and decrease African Helix. 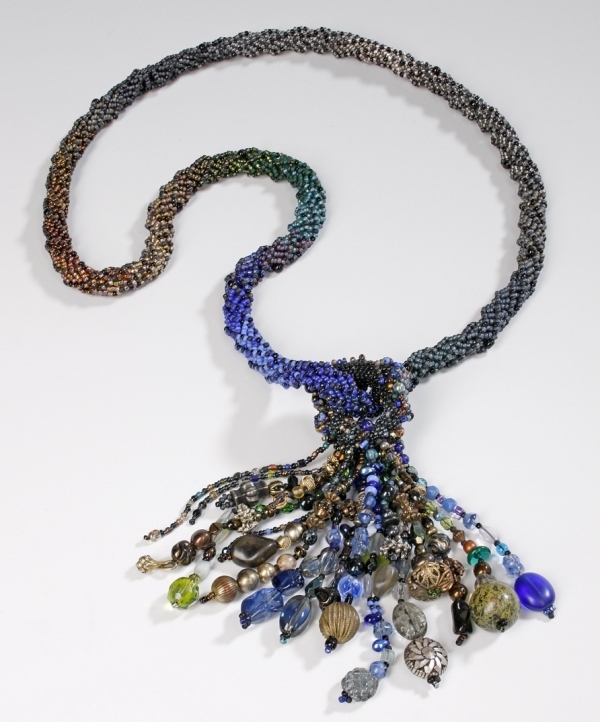 This necklace is relaxing to make and evokes many compliments when worn. 10 grams of 12 or more different colors size of 11 seed beads to make a very gentle shift from one color to the next throughout the necklace. Keep your color shifts VERY GRADUAL. A mixture of embellishment beads for the tassel. A variety of shapes and sizes add interest. Make this lush.